This week, it's good to be an X-Men fan. 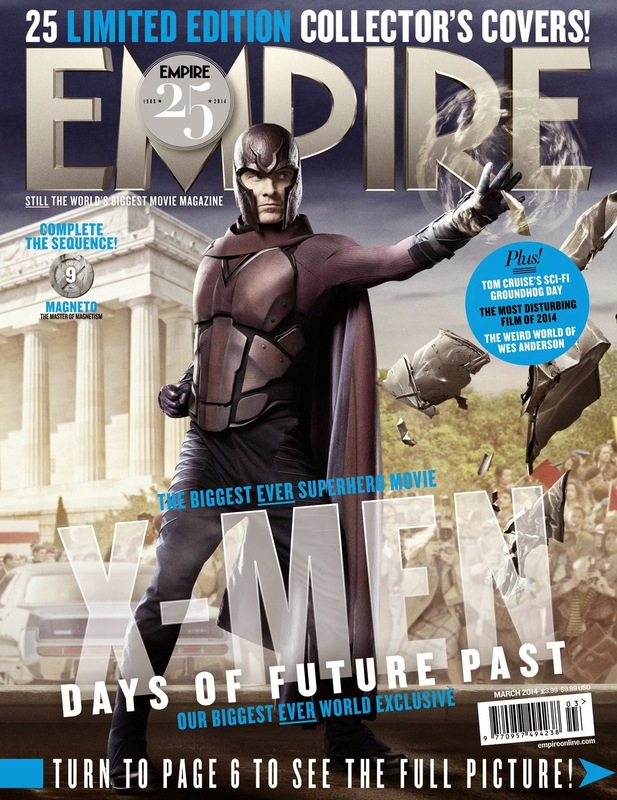 Thanks to the UK movie mag, Empire, we got a much better look at one of 2014's most anticipated movies - 'X-Men: Days of Future Past'. On Monday (1-27-14), the movie's official Twitter account Tweeted 25 covers of the magazine - all featuring brand new images. Without a doubt, the best of the bunch are the two Wolverine covers, Mystique, and the two showing the past and future versions of the deadly, robotic Sentinels. At least, that's my opinion. How 'bout you? Check out the gallery below and let me know what you think. Thanks to Empire for the embed. 'X-Men: Days of Future Past' opens on May 23.